"SA has a desperate need for more Supply Chain Professionals"
The Certified Supply Chain Professional (CSCP) program is a new industry educational and certification program created to meet the rapidly changing needs of the supply chain management field. From the manufacturing to the service industry, regardless of whether a company is serving business or consumer markets or is for profit or not-for-profit, the increasingly important role of supply chain management is affecting all organisations. Customers already expect good quality at low prices, and speed of delivery is becoming more important. As a result, effective supply chain management has become essential to successfully compete in today’s global marketplace. The CSCP program takes a broad view of the field, extending beyond internal operations to encompass all the steps throughout the supply chain—from the supplier, through the company, to the end consumer— and provides you with the knowledge to effectively manage the integration of these activities to maximise a company’s value chain. Who should persue the CSCP qualification? To help prepare you for the CSCP exam, APICS has developed the CSCP Learning System. Based on the CSCP body of knowledge, the learning system is a comprehensive professional development and exam preparation program. It combines print materials with interactive online tools to deliver a customised learning experience. CSCP designees must maintain their certification every five years through the Certification Maintenance programme. 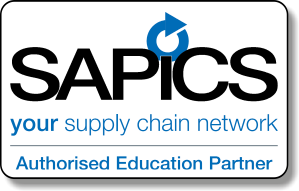 A complete document is available on this subject from SAPICS Head Office, via APICS or on the SAPICS Website. Supply Chain Management Concepts: A thorough understanding of the roles in a supply chain network and the flow of value through it is required. A broad understanding of the supply chain management processes, objectives, integration, and benefits is also required. Supply Chain Alignment with Business Strategy: The supply chain strategy should align with and enable the business strategy. Achieving appropriate alignment requires an understanding of the forms of competitive advantage being pursued. It also requires an understanding of the organizational strategy, priorities, capabilities, and the resolution of misalignments or gaps. Supply Chain Design and Improvement Considerations: The supply chain strategy should be designed with an understanding of the marketplace. It also requires an understanding of supply chain management design and continuous improvement considerations. Inventory Management: Inventories throughout the supply chain must be planned and controlled for effective supply chain management. Managing inventories, in turn, requires an understanding of the costs of maintaining inventory. Logistics Fundamentals: An understanding of the logistics function is required. Understanding the role of logistics, types of logistics service providers, and reverse logistics is required. Market Segmentation: An understanding of market segmentation is required. Understanding the reasons for identifying market segments, ways to segment markets, and understanding the wants and needs of each segment is important. Demand Planning: An understanding of demand forecasting, the components of demand management, associated linkages, and demand management functional responsibilities and interfaces is required. Customer Relationship Management (CRM) Concepts: Effective customer relationship management includes an understanding of the CRM philosophy. It also requires the understanding of the need, scope, elements, and benefits of CRM. Supply Management Concepts: Effective management of all sources of supply requires an understanding of the components of the total cost of ownership and the considerations in deciding whether to source an item internally or externally. It also requires an understanding of the types of relationships that can exist between a firm and its suppliers, the development of supply plans, and supplier relationship management. Risk Management: Designing a robust supply chain requires recognizing the sources and forms of risks, the magnitude and potential impact of each, and methods of mitigating each form of risk. Globalization: Managing globally dispersed sources of supply and demand requires an understanding of the requirements for operating in multiple countries and for moving goods and funds among countries. Managing the Supply Chain: Managing the supply chain requires an understanding of the dynamics of supply and demand and the need to balance efficiency and responsiveness in the supply chain. It also requires a set of comprehensive measures that are agreed upon and used by the organizations in the supply chain. Technology: An understanding of technologies that enable designing, tracking, operating, and communicating among trading partners within a supply chain is necessary. The correct application of appropriate technology is needed for efficient and effective supply chain management. Influencing and Prioritizing Demand: A thorough understanding of how the members of a supply chain can influence demand and how they may need to prioritize demand when necessary is required. Customer Relationship Management (CRM): Effective customer relationship management includes understanding the underlying concepts; enabling technologies; and requirements for improved demand management, customer service, and alignment of customer-facing processes and resources. Supplier Relationship Management (SRM): Successful implementation of supplier relationship management requires an understanding of the underlying concepts, the enabling technologies, and the requirements for improved management of sources of supply. Inventory Planning and Control: Inventories throughout the supply chain must be planned, located, and controlled for effective supply chain management. Managing inventories in turn requires an understanding of the total costs of maintaining and not maintaining inventory and the techniques for planning and controlling inventory. Supply Chain Dynamics: Managing supply chains requires an understanding of the dynamics of supply and demand and the need to balance efficiency and responsiveness in the supply chain. It also requires a set of measures that are agreed upon and used by the organizations in the supply chain. Managing Supply from Internal Sources: Managing supply from internal sources requires an understanding of the operations planning and control processes. Managing Supply from External Sources: Managing supply from external sources requires an understanding of the basic purchasing processes, selecting suppliers, and evaluating suppliers. 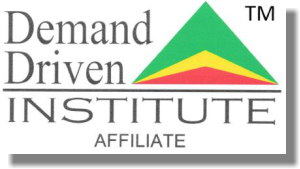 Implementation of Demand Plans: Requires an understanding of the methods for prioritizing and fulfilling demand. Continuous Improvement: Enhancing the competitiveness of a supply chain requires an understanding of the techniques and tools of continuous improvement and the appropriate application of each. To earn the CSCP designation, candidates must complete and pass one comprehensive four hour exam. The CSCP exam will be administered by Computer Based Testing (CBT) format. Contact the SAPICS office to purchase your Authority to Test (ATT) and then make your appointment with one of many Prometric Test centres around the country. Eligibility to write the CSCP exam can be obtained from APICS. Access http://www.apics.org/credentials-education/credentials/eligibility and complete the on-line form. Currently revision sessions are available from selected AEPs however many CSCP candidates opt to study via the self-study method. APICS has provided online tests and support for students. Lecturer led classes are available in both the 13 weekly 3hr sessions or a full time 6-day course. The CSCP can be executed successfully in 3 months although this is quite an undertaking. Many students prefer 6 months. CSCP Exams, like all APPICS Certifications, can now be written on demand on any date throughout the year, the previous exam windows do not apply any more. Students need to make an appointment at a Pearson View exam centre, in their area, after paying for their Authority to Test (ATT).